Is there such a thing as too many books? If you are a teacher, the answer is probably “no”. No matter how carefully administration forms classes, there will always be a range of reading levels in any given class. With this range of levels, comes the need for a large quantity of books. Somehow books disappear like socks, yet no one has any idea where these missing items could be. Each year, teachers spend personal money, time shopping for, and Scholastic points replacing books that he or she has already purchased. Frustrating, right? Taping books is one thing that I found that gets a larger percentage of my take-home readers returned. I think the tape on the cover makes it easier for students and parents to identify as a “school book” instead of a “home book”. Supplies make a big difference! I tried a variety of tape. In the beginning, I used tape from the Dollar Tree trying to save money. Some brands of tape are harder to tape to books neatly. My favorite brand is Scotch packaging tape. This brand is also quiet. You know how tape makes a screechy sound when you pull a long strip off the roll? This is the only type of packaging tape in the Scotch line that I found that was QUIET. If you like to work on projects like this in front of the t.v., I highly recommend this specific type of tape. If you have a lot of books, buy in bulk. Where do you get books? I love to shop at thrift stores for books. Parents are also a great source. Here is a free note you can send home throughout the year asking for donations. Books with price tags often cover the bar code. I found this handy-dandy label remover (picture above) to be a BIG HELP! Save your nails plus it doesn’t damage your books. You may have sticky residue after you take the price tag off. I have tried a variety of things to remove this without damaging the book. 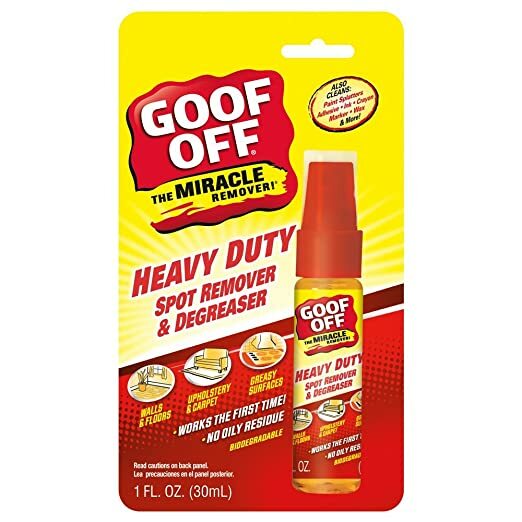 Goof Off-Heavy Duty Spot Remover and Degreaser, works great on the outside covers. You can spray this directly to the covers that have a shiny surface and wipe off. It does not work on the inside covers, though. To save time, I print labels (free copy) like the picture above and attach them to the inside cover of books. Sometimes the 2 apps gives different levels. When this happens, I use Scholastic if this is the publisher of the book. I assume the publisher would have more accurate information. Most of the time, all 4 types of reading levels above are given, but not always. I leave the spaces blank if the level is not given. Scanning the barcode does not work 100% of the time. If the barcode doesn’t work, search by author’s name or title. You can often find the levels searching this way. I HIGHLY RECOMMEND writing down all the different types of reading levels given. Your school may currently use the Lexile method but you never know when your school may switch to a new method or you may move to a new school district. Would you like to win some leveled readers? Watch my Facebook page for “Need Books?” posts. I have mailed several boxes of books that are taped and leveled to teachers. I have also mailed books to members of my Facebook Group: K-3 CyberFaculty. Hint: My FB group is a smaller group so you have a better chance of winning. I recommend joining the group and adding it to your “favorites”. Active members have a better chance of winning.